Pocahontas County and the surrounding region is among the most scenic, ecologically-rich, and unique places in the East. Our public lands showcase these treasures to the enjoyment of millions of residents and visitors. These lands, held in common by our citizenry and entrusted to the care of public officials, are an important way that our generation can bequeath a blessing to future generations. Such WV public lands include the Monongahela National Forest, small portions of the Jefferson and George Washington national forests, as well as state parks such as Watoga, and state forests such as Calvin Price and Seneca. However, in recent years congressional legislation has been introduced that would turn over federal lands to states with the unspoken thought that fiscally-strapped states would sell off assets or even the land to private commercial interests. This is one reason why the Birthplace of Rivers National Monument was proposed, to build a deeper level of protection of our treasured landscapes. 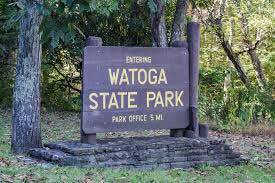 Governor Justice has recommended commercial logging in Watoga State Park and five other state parks. SB 270 has been introduced. See these links for further information and updates on the legislation to log, go to the following links.